After missing 55 games because of injuries last season, with the big 3-0 little more than three years away, and having still made only one NBA Finals appearance, perhaps Kevin Durant is trying to recapture the magic of his younger playing days. When they were the fresh, new face of the NBA, Durant and teammate Russell Westbrook became quite the fashionistas at postgame news conferences. Westbrook got the most notoriety, thanks in large part to his eyeglass frames — usually bright red — with no lenses. 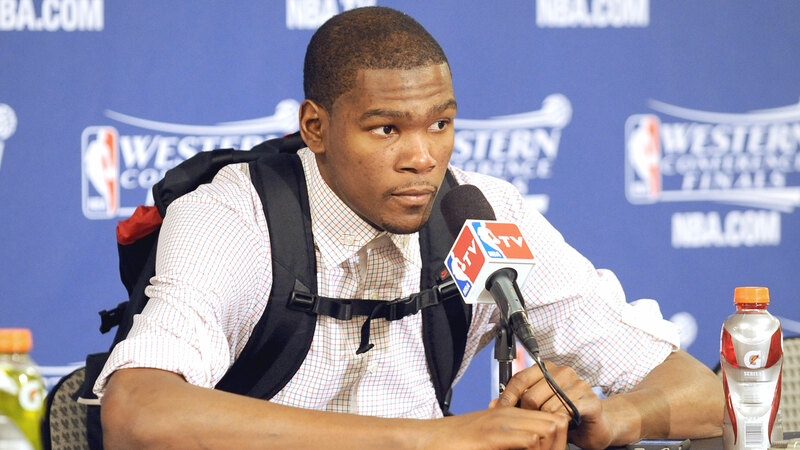 Durant, meanwhile, made his mark with his backpacks. Of course, Durant first stormed on the national scene in his lone, record-setting season at the University of Texas. So on Sunday, the 2014 NBA MVP reached into his bag of tricks and hooked up the Longhorns football team with their own backpacks, some custom-made KD shoulder swag.